Today, I'm going to teach you how Link Monsters work. 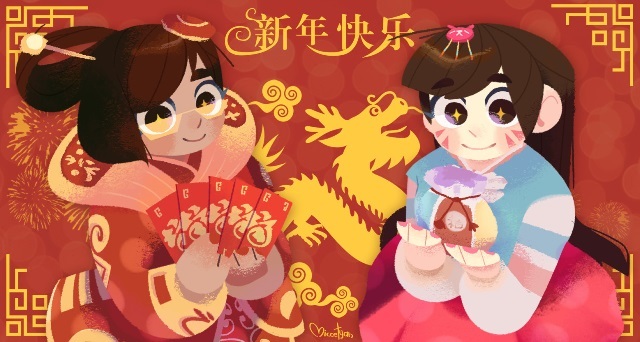 I'm going to go over all of what has currently been revealed in how they work, both mechanically and Ruling-wise. Link Monsters are the newest addition to the game, and we are going to go over how they work, as well as more about the Extra Monster Zone, which plays an important part in how Link Monsters work. The card above is Decode Talker. Link Monsters are colored blue and have 8 arrows around the image frame, which are called Link Arrows. As you can see, some of them are colored, these are called the Link Arrows, the other uncolored ones are not Link Arrows. Link Monsters are like other Extra Deck monsters can are Special Summon only monsters, and must be properly Link Summoned before they can be Special Summoned from the Graveyard. Next you'll notice the fact that they have no DEF, but rather say LINK-3. This is their Link Rating, and this corresponds to their amount of Link Arrows. The Link Rating is how many Link Materials are required to Link Summon it. Additionally, as they have no DEF, they cannot be in Defense Position or face-down, they must in other words always be in Attack Position, so Book of Moon is not a legal card to target a Link Monster with. All Link Monsters have Material Requirements, much like Synchro Monsters, for example Decode Talker says "+2 Effect Monsters". This means you must use at least 2 monsters and they must be Effect Monsters, so no Normal Monsters are allowed, but you can use monsters like Sangan and other Link Monsters as Link Material. The Link Rating of a Link Monster determines how many Link Material is can be considered as. For example, Decode Talker can be treated as either 1 Link Material or 3 Link Material, however it can not be treated as 2 Link Material. This is important, as you cannot use a single Decode Talker to Link Summon another Decode Talker, but you can use 1 Decode Talker and 2 other Effect Monsters OR Decode Talker and 1 LINK-2 Link Monster. To Link Summon a Link Monster, you send face-up monsters from your field to the Graveyard, then Link Summon the monster to an Extra Monster Zone that is unoccupied (or if you send a monster from your Extra Monster Zone to the Graveyard you can also place it in that Extra Monster Zone). 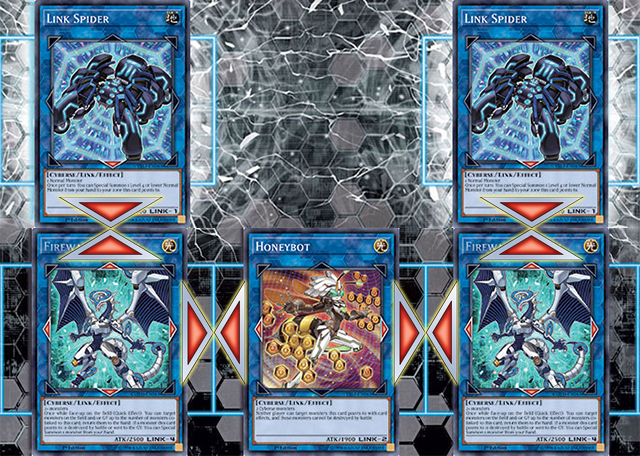 To Link Summon Decode Talker, we can either send 3 Effect Monsters, such as Sangan, Linkslayer and RAM Clouder to the Graveyard, or we can send Honeybot and Sangan to the Graveyard, as Honeybot is a LINK-2 Link Monster, so it counts as 2 Link Material. After you Link Summon a Link Monster, the Link Arrows come into play, with Decode Talker, the Link Arrows point up, to the bottom left and to the bottom right. 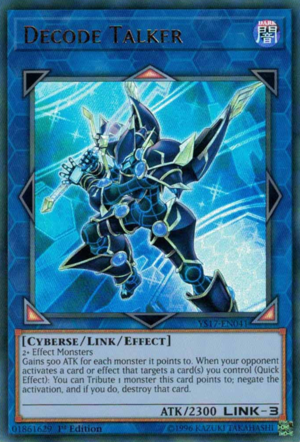 Link Arrows do two things, they enable effects for the Link Monster to activate or make it stronger, for example Decode Talker gains 500 ATK for each monster it points to and is able negate card effects that target cards you control by Tributing a monster it points to. The other thing Link Arrows do is allow you to Special Summon monsters from your Extra Deck to any of your Main Monster Zones they point to. Fusion, Synchro, Xyz, Link Monsters and even face-up Pendulum Monsters in the Extra Deck are all able to be Special Summon to the Main Monster Zone this way, meaning the more Link Monsters you have pointing at Main Monster Zones, the more monsters you can Special Summon from your Extra Deck. Monsters are also able to gain effects as long as they are linked to another Link Monster. This means that either they are pointing to that Link Monster, or that a Link Monster is pointing to it. An example of a card that gains effects if it is linked to another monster is Ib the World Chalice Priestess. Link Monsters pointing to other Link Monsters' Link Arrows is called being co-linked, and certain monsters, such as Firewall Dragon have effects that only work while co-linked. A co-linked monster is also a monster that is linked. The Extra Monster Zones are a brand new zone introduced along with Link Monsters (see the image below). At the start of the duel, neither player has ownership of the Extra Monster Zone, and only as long as their monster is in the Extra Monster Zone is it theirs, and if their monster leaves it, the opponent can Summon monsters to it. You can however only own 1 Extra Monster Zone at a time normally, and the other only your opponent can Summon monsters to, though do note that neither player is treated as owning them before their monster is in it. You Special Summon monsters that are in your Extra Deck to the Extra Monster Zone, including face-up Pendulum Monsters (Pendulum Monsters in your hand are still Summoned to the Main Monster Zone). You cannot Special Summon monsters to the Main Monster Zone from the Extra Deck, except if Link Monsters are pointing to them. However, when you Special Summon them from the Graveyard, or if they are banished, they do not go to the Extra Monster Zone, but to the Main Monster Zone instead (you do not need Link Monsters pointing to zones in this case). There is an exception only being able to occupy 1 Extra Monster Zone, which is called Extra Link. How it works is that you co-link monsters from the one Extra Monster Zone to the other Extra Monster Zone, forming what looks like a necklace. This allows you to occupy both Extra Monster Zones, and means your opponent cannot Special Summon monsters from the Extra Deck until they remove either of your monsters from the Extra Monster Zone. Above is shown an example of an Extra Link, having Link Spider point to Firewall Dragon, which points to Honeybot, which points to another Firewall Dragon, now allowing you to Link Summon another Link Spider that point down towards Firewall Dragon, making an Extra Link. Additionally, these monsters are known as being "Extra Linked", this also includes other monsters that are not in the "necklace", for example having another Honeybot in the left or rightmost zones, though currently no cards take advantage of this. Additionally, your opponent is able to use your Link Monsters to perform an Extra Link as well, without using their own Main Monster Zone at all! 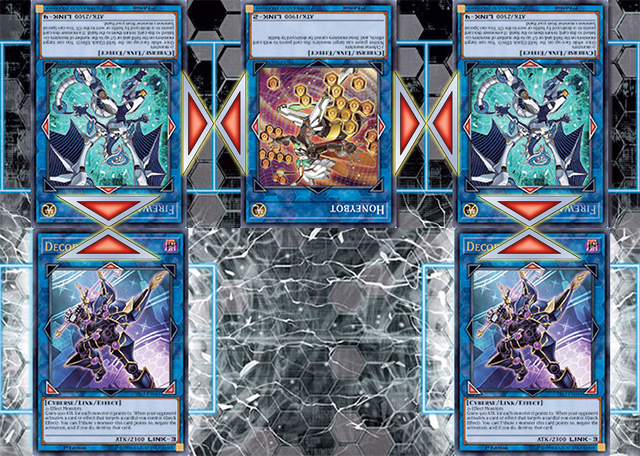 To do this, your opponent must have monsters in their Main Monster Zone that are co-linked, just like normal, but you use a monster in your Extra Monster Zone to point to that monster, which allows you to Summon to the other Extra Monster Zone, as seen above with the two Decode Talkers. Link Monsters you control that point to the opponent's field will allow your opponent to Special Summon monsters to them, but you cannot, you can only Special Summon to your own field. Additionally, Decode Talker is only able to Tribute your own monsters, as it doesn't state it is able to Tribute the opponent's monsters it points to. You cannot Link Summon to a zone a Link Monster is pointing to by using that same Link Monster as Link Material, as the zone is no longer being pointed to. Of course, if multiple Link Monsters are pointing to the same zone, you can use 1 of them as Link Material. Changing control of Link Monsters (or any monster in the Extra Monster Zone for that matter) will place them in the Main Monster Zone. Same goes for cards that are temporarily banished, and as stated previously, any that are in the Graveyard or banished and later Special Summoned can only go to the Main Monster Zone. You can use Tokens and Trap monsters to Link Summon with, do keep in mind that Tokens are always Normal Monsters, so they cannot be used for cards like Decode Talker. As stated previously, Link Monsters have no DEF, so they cannot gain DEF by other cards effects, however some cards that make monsters gain ATK as well as DEF are allowed to be used on Link Monsters, such as United We Stand. Also, Link Monsters cannot be destroyed by cards such as Smashing Ground, they don't have 0 DEF, they do not have DEF altogether. Negating the effects of Link Monsters does not prevent the Link Arrows from existing, similar to Pendulum Monsters still having their Pendulum Scale even while negated. Link Monsters in your Main Monster Zone do not point to the opponent's field, even if they point up, such as Decode Talker. They will however point to the Extra Monster Zone. Additionally, Link Monsters in the Extra Monster Zone will not point to the other Extra Monster Zone. Link Monsters only have their Link Arrows while in the Monster Zone, so if they are equipped to a monster, they will not point the Main Monster Zone. Additionally, pointing to the Spell & Trap Zone does not do anything, only Monster Zones are affected by Link Arrows. Special Summoning monsters from the Extra Deck from outside sources to the Main Monster Zone, such as Starlight Road or Ultimaya Tzolkin is only allowed if you have a Link Monster pointing to it, otherwise you must Special Summon to your Extra Monster Zone instead. If you Special Summon a monster by using a monster in the Extra Monster Zone while the other Extra Monster Zone is unoccupied, you may Special Summon that that Extra Monster Zone instead. The Extra Monster Zone is treated as a Monster Zone, and is considered when cards relating to columns, such as Blasting Fuse come into play. Keep in mind that certain cards may not have been updated to reflect the new Main Monster Zone and Extra Monster Zones, so there may be distinctions if they are considered in the effect or not. You can perform an Extra Link with diagonal Link Arrows according to an official article, rather than the necklace shape, however no such cards exist that could perform this so far. Edited by Zaziuma, 05 July 2018 - 02:46 PM. Link Monsters are colored blue and have 8 arrows around the image frame, which are called Link Arrows. As you can see, some of them are colored, these are the active Link Arrows, the others are not considered active. This isn't true. The grey arrows aren't "inactive Link Arrows", they just aren't Link Arrows. This was a great read, and I feel very informed tbh. I saw that Links were coming out right as I was getting back into the game, and I thought, "well guess I shouldn't play after this". But you made it easy to understand. Thanks for the post and I think you should definitely see about getting this stickied (if there isn't something stickied for Links already). I suppose I shouldn't have jumped the gun and called them that, while I don't think there's really much of a difference, I get where you're coming from. I'll change it to say that they aren't Link Arrows. My unofficial rulebook thread is already sticked, I simply took that from there, I don't think the mods would want two threads that talk about the same thing being sticked. Thanks fro the comment though. Updated with some more and new information regarding Extra Links from the official blog, which is also where the images are from, which should be helpful to illustrate what an Extra Link looks like. Empty Extra Monster Zones are not treated as "belonging" to a player, even if the other Extra Zone is already occupied; this is why cards like Ojama King cannot select an Extra Monster Zone for its effect ("your opponent's" zones). Where did you read this? I must admit, I haven't looked into this aspect as much as I probably should have, so I could easily be wrong. I had thought it was just an offhand mention in the Links information, but it turns out it's officially recorded in the rulings database. Alright, that's good enough for me. Updated thread. When a link monster leaves the field, the monster zones it linked are still linked right? When you say "linked", what exactly do you mean? Because they are not being pointed, so they aren't considered to be linked to anything anymore. Keep in mind that nothing will happen to the monsters in those zones, unless stated otherwise.